Ghostly travelers are said to wander the lonely roads of western Pennsylvania. A creeping fog rises from Blue Mist Road, and stories of car crashes, lynchings and even strange beasts haunt this isolated stretch outside Pittsburgh. Is it the angry spirit of a jealous husband or a gypsy king who stalks Erie County's Axe Murder Hollow? Shades of Death Road in Washington County may be host to phantom coal miners killed during a deadly labor dispute. 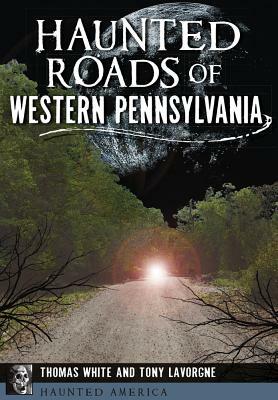 With firsthand accounts and historical research, authors Thomas White and Tony Lavorgne travel the backcountry roads and byways of western Pennsylvania to discover their ghost tales and mysterious legends.